My name is Cameron Nicholls and I live in Melbourne, Australia. I am 35 years old, I am married with two young girls aged three and five and I’m also the 10-Hour Cyclist. 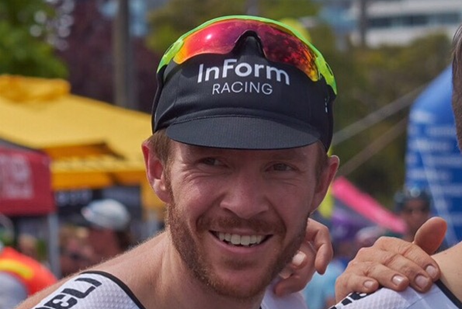 For me, cycling has become more than just a recreational activity; it’s become a passion that has led me to the competitive world of amateur racing. I race criterium and road races at state and national events, coming up against professional, ex-professional and semi professional riders. I love the thrill of a fast peloton and can’t get enough of pushing my body to extremes. However, there is one big challenge that comes with this passion: finding time to train in order to compete at an optimal level is tough when you also have to juggle your career and family life. With a blend of genetics and 15 to 20 hours per week of training on their side, my competitors will easily blow an unfit rider out of the water. I remember showing up slightly underprepared for my first A grade criterium race and it ended up being an experience of physical torture I will never forget. 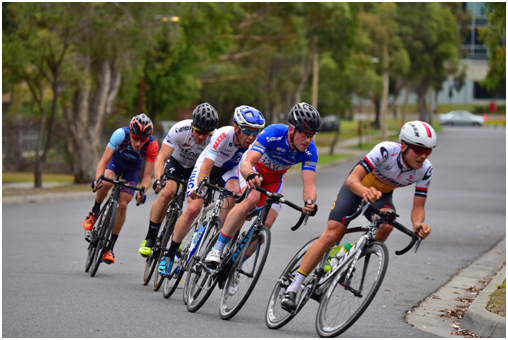 The speed was much higher and the race tactics much more evolved than what I was used to in B grade. I quickly realised that I needed to change my approach to be able to manage the huge jump from B grade to A grade. That’s me in a break with a pro, a semi-pro and paralympian. I lasted fifteen minutes before dropping back into the bunch! I’ve recognised that to ride with the best of the amateur scene I need to be super smart about how I train. I’ve worked out that I commonly have less than ten hours per week to cover racing and training rides, but if I’ve ever had a talent above anything else it’s managing my time and being smart about how I train and recover. 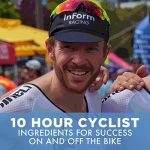 I’ve previously worked as a personal trainer for three years, trained with three different cycling coaches in the past five years, and my wife is a nutritionist, so I feel I have a good level of experience and know-how to lean on when bringing new training ideas to life. Each topic will be covered in an intricate way, unfolding what is required to make the most of your cycling ambitions. If you’re a keen cyclist who would like to get more out of yourself, please subscribe to the Bike Chaser Cycling Community below. Join the Bike Chaser Cycling Community for more!